ANKARA, December 1 (Sputnik) — Russia is unable to continue the South Stream gas pipeline project implementation in current conditions, Russian President Vladimir Putin said Monday. 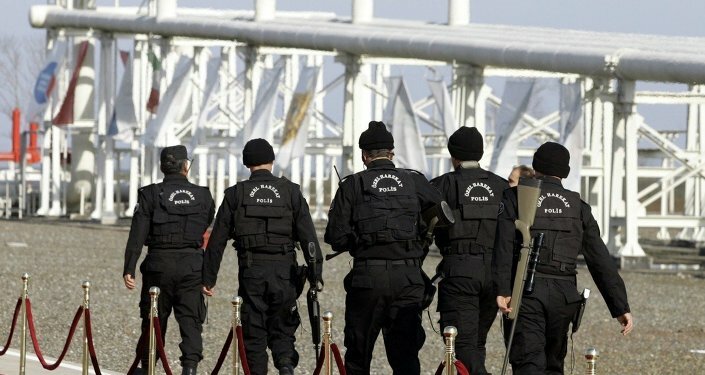 “Taking into account the European Commission’s position, which is not contributing to the realization of this project, taking into account the fact that we have only recently received permission from the respective organizations in the Netherlands… Taking into account the fact that we still have not received Bulgaria’s permission, we think that Russia is unable to continue realization of this project in such conditions,” Putin said at a press conference following talks with Turkish President Recep Tayyip Erdogan. “We cannot start the construction in the sea until we have Bulgaria’s permission to begin construction in the sea. It would be absurd to reach the Bulgarian coast and to stop then,” Russian leader added. Due to the European Commission's non-constructive approach, Russia will redirect gas deliveries to other regions, Putin said. "We think that the European Commission's position was non-constructive. It is not that the European Commission has not helped in realization of this project, we can see that the obstacles are being created in its implementation. So, if Europe does not want to implement it, it means that it will not be realized," the president explained. "We will redirect the flow of our energy resources to other regions of the world, including by advanced and fast realization of liquefied natural gas projects," he said. "We will advance to the other markets and Europe will not receive these volumes, at least from Russia. 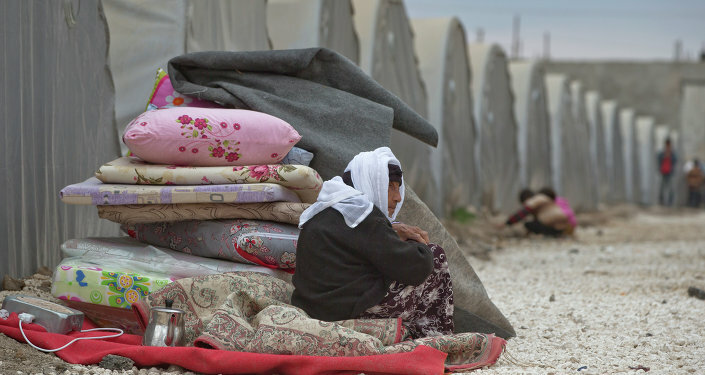 We think that this is not corresponding with Europe's economic interests and causes damage to our cooperation. But this is the choice of our European friends," Putin stated. In 2012 Russian energy giant Gazprom announced the beginning of construction of a pipeline across the Black Sea to reduce the possibility of unreliable Russian natural gas passage to central and southern Europe through the territory of Ukraine. The pipeline is expected to be fully operational by 2018. Brussels has repeatedly stated that the project violated the European Union's Third Energy Package, because under its charter it is an illegal conflict of interest to simultaneously own a pipeline and produce the natural gas that flows through it. 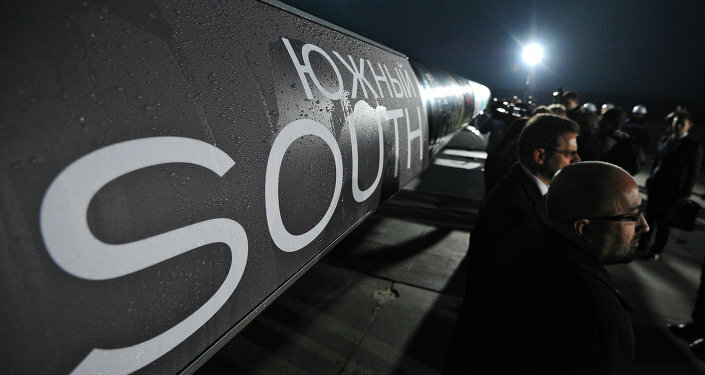 Moscow insists that the construction of the pipeline does not contradict the regulations. Russia could create an additional gas hub in Turkey, on the border with Greece, for gas consumers in Southern Europe, Russian President Vladimir Putin said Monday. "We are ready not only to increase [the capacity of] Blue Stream [pipeline] … but also to build another pipeline system to meet the growing needs of the Turkish economy and, if deemed viable, to create an additional gas hub for the consumers in Southern Europe on the territory of Turkey on the border with Greece," Putin said after a meeting with Turkish President Recep Tayyip Erdogan. Russia and Turkey have agreed to increase the capacity of Russian energy giant Gazprom's Blue Stream gas pipeline, Russian President Vladimir Putin said Monday. "In order to meet the Turkish economy's growing energy needs, we have agreed for Gazprom to increase the capacity of the Blue Stream pipeline," Putin said following a meeting with Turkish President Recep Tayyip Erdogan. Last week, Russian Energy Minister Alexander Novak said that Russia and Turkey had confirmed their mutual interest in boosting gas deliveries through the Blue Stream pipeline from 16 to 19 billion cubic meters annually. Blue Stream is a gas pipeline which delivers Russian gas to Turkey across the Black Sea, supplementing the gas transmission corridor from Russia to Turkey through the territories of Ukraine, Moldova, Romania and Bulgaria. He also noted that construction of the Akkuyu nuclear power plant in Turkey was underway, with investments into the project estimated to be $20 billion. Many Turkish companies will manage to strike deals, creating numerous jobs. Russia will soon increase gas deliveries to Turkey by three billion cubic meters annually, Russian President Vladimir Putin said Monday. "At the request of our Turkish friends, in the near future we will increase supplies [of gas] to the Turkish market by additional three billion cubic meters of gas," Putin said following talks with Turkish President Recep Tayyip Ergodan. Russia has agreed to sell natural gas to Turkey at a six-percent discount, starting in 2015, Vladimir Putin said. "In response to a request by our Turkish partners, we have agreed with President [Recep Tayyip] Erdogan, in light of our expanding cooperation in energy sector, to lower the price of natural gas deliveries for Turkish consumers by six percent," Putin said during an official visit to Turkey. Gazprom CEO Alexey Miller said Monday that Turkey could pay for Russian gas in the future as low as Germany is paying now, which is one of the lowest prices in Europe. The average price that Gazprom charged Germany last year was $366 per 1,000 cubic meters. 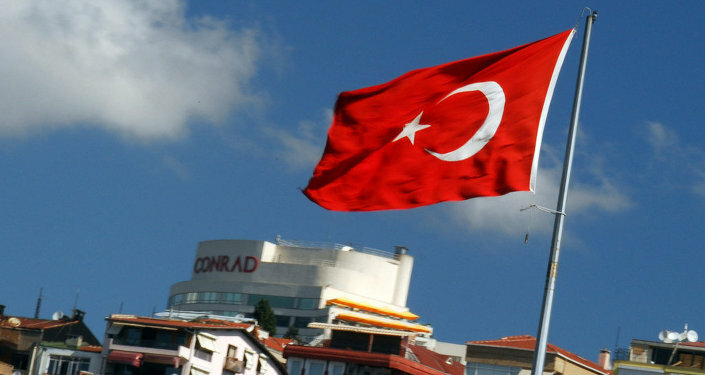 According to media reports, Turkey is currently buying Russian gas at the price of $425 per 1,000 cubic meters. Russian, Turkish governments will develop proposals aimed at stimulating trade and investment, expanding cooperation in agriculture and hi-tech, Russian President Vladimir Putin said on Monday. "We have agreed with Mr. Erdogan that our countries' governments will work on particular measures to further stimulate trade and investment flow, expand cooperation, first of all in the high-tech area and in agriculture," Putin said at press-conference following his meeting with Turkish President Recep Tayyip Erdogan. Putin also said that there is great potential to increase cooperation between Russia and Turkey in the metallurgy, automotive industry and light industries. "Russia and Turkey are interested in the establishment of prospective joint companies in the fields of transport and infrastructure," Putin stated, adding that he also hopes that Turkish builders will help to organize major sports events hosted in Russia shortly. The Russian leader added that one of the major areas of bilateral cooperation between the countries is the energy industry. "In this industry our relations have now reached a real strategic level," Putin stated. Putin reminded that Russia is the major supplier of natural gas to Turkey, and covers over half of Turkey's gas consumption. In 2013, Russia delivered 26.7 billion cubic meters of gas to Turkey. Russia and Turkey are against the strengthening of terrorist organization and the spread of chaos in Syria, Russian President Vladimir Putin said during an official visit to Turkey on Monday. 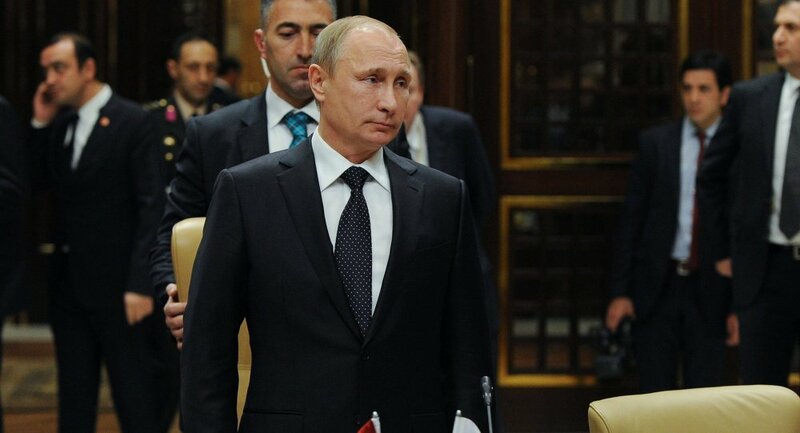 "We share an opinion that we do not want to allow the spread chaos on Syrian territory, and we do not want to allow the strengthening of terrorist organizations there… Nobody wants that," Putin said following a meeting with his Turkish counterpart Recep Tayyip Erdogan. Putin added that the solution for the Syrian conflict must be acceptable for all political forces in the country, while only the Syrian people has the right to decide the fate of the current regime of Bashar Assad.